Ironically for this week I’m writing about sports. This is ironic because I’m not a very sporty person as anyone can tell you. But even I, who hasn’t stepped foot in a gym in over a year, can get involved in sports at UVA. At the beginning of each semester, there are tryouts for many different club sports: tennis, baseball, cross-country, track, archery, cycling, Quidditch, anything you can possibly imagine, and each team has a specific commitment level necessary for each season. For instance, early in September I tried out for the Ultimate Frisbee team. I’d always loved tossing the Frisbee (disc, according to the Ultimate team) and decided I would try something new. I’d learned that 1. Frisbee is much harder than it appears to be and 2. the spring season is Ultimate’s main season, so all of the players are much more dedicated to the sport in the spring. This makes it easier for students to adjust to school and a new environment as well as the sport, especially for 1st years like myself. While I didn’t stick with Frisbee because of scheduling conflicts, I enjoyed learning a new sport, one in which experienced players said you needed no prior experience to try out. That’s the amazing thing about UVA. Club sports travel for games and competitions and the level of intensity varies with each sport. 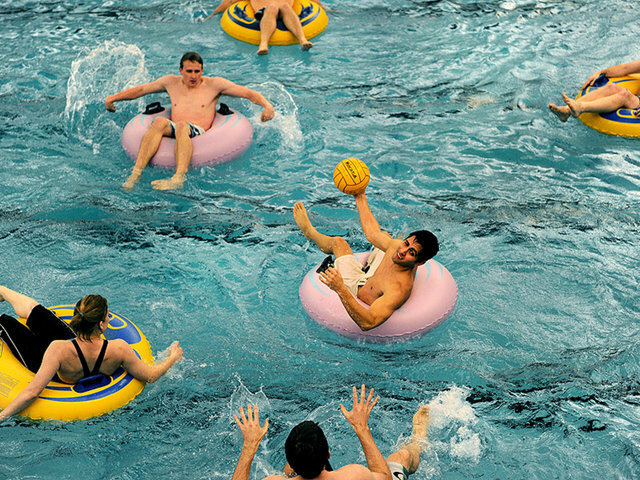 If you aren’t looking for such an intense sporting experience, intramural sports are a great way to get involved. Dorms, fraternities and even just friends can make teams in any sport and play against other dorms, fraternities and friends (or enemies). Many RA’s coach dorm teams for sports like capture the flag or hockey or dodge ball. Again, although I’m not athletic and most people know that, in January I was asked to play on an inner dorm basketball team for fun. And my sorority decided to organize a team to play inner tube polo although I’ve never heard of that sport in my life. There are many easy ways to get involved in sports at UVA, even if you aren’t the most athletic person and especially if you just want to have fun. 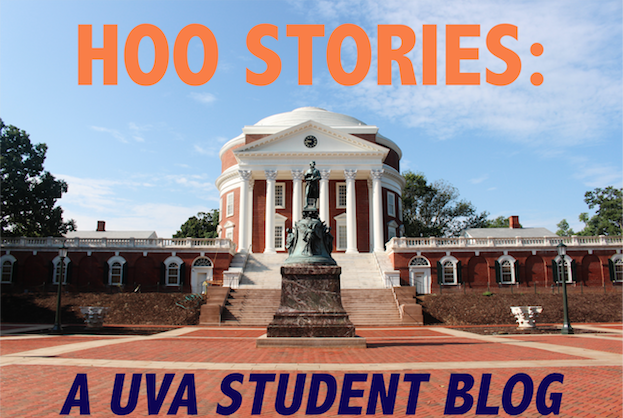 If you've visited UVA, know someone who goes to UVA, even been on the UVA website, there was probably a moment when you stopped and said "what?!?" Maybe you went to urban dictionary trying to figure out the meaning of some unheard of term. Perhaps you came to this blog looking for an answer to these strange terms. Let me tell you, we've all been there because UVA has a lingo...let me rephrase that, a language of its own. So for the next couple of weeks I'll break down a term each week for you, to assist you with the language that you will hopefully one day call your own. Grounds: The University of Virginia's "campus"
If you ever visited UVA you will never hear the word campus and if you do you will see cringing faces all around you. Thomas Jefferson wanted UVA to be an open place of learning, not limited to students and faculty, but rather an area where the community could gather together to engage in education, intelligence, and the sharing of knowledge. The term campus implies that this sharing of knowledge is limited to faculty and students so instead we refer to our campus as grounds. This is a simple term that will show you're a UVA expert when you come to visit if it is in your growing vocabulary. If you’ve ever visited UVA, I’m sure you’ve noticed the big white block letters painted everywhere shouting about the presence of two of UVA’s three main secret societies, the IMPs and the Zs. The Zs are the next most secret, and though they don’t wear rings, you’ll find out who is in the Z society when they graduate. They’re a little more exclusive, but they still like to paint Zs everywhere, especially on steps. The most popular Z is probably the one painted on the steps between McCormick Road Dorms and Newcomb Hall, though there are also Zs painted on the Rotunda steps, the steps down to the Amphitheater in front of Garrett Hall, and a teeny tiny one on one side of Scott Stadium (if you look closely). 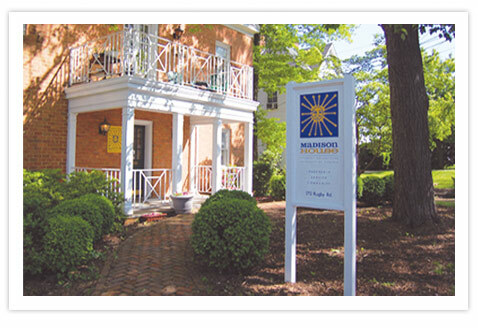 So some of you following my blog might remember that in my first blog I had just accepted the opportunity to volunteer through Madison House Med Services at the UVA Medical Center/Hospital…. at 5:30AM on Monday mornings. Well I stuck with it all through the first semester and I am now continuing onto another semester. Luckily, I don’t have to walk all the way to the hospital in the morning, especially since it's dark and COLD. I catch a shuttle around 4:55/5:00AM in the Scott Stadium parking lot, which is pretty close to my dorm, Gooch-Dillard. 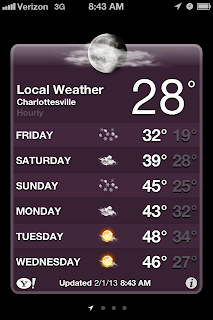 Unfortunately, it’s pretty cold in Charlottesville right now, especially at 5:00AM. 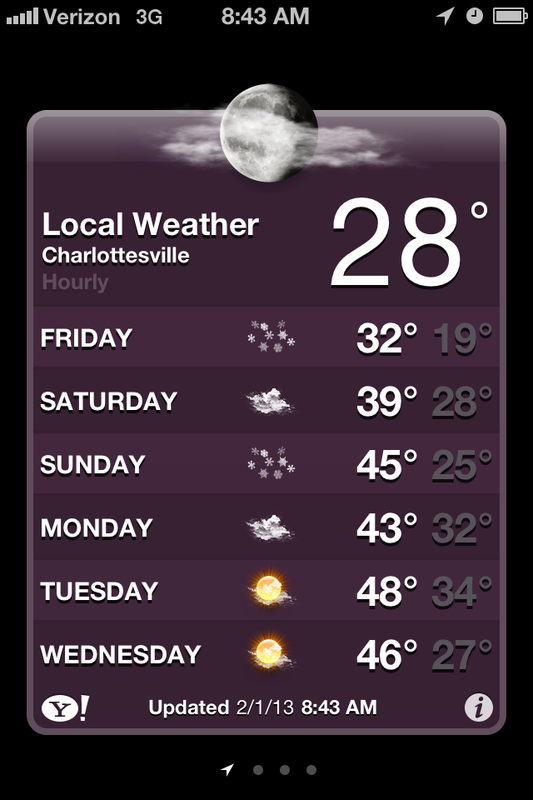 However, you’ll eventually adjust to the temperature…or I should say you’ll adjust as best you can to the often-changing weather in the state of Virginia. The organization that has provided me with this opportunity is MADISON HOUSE. Madison House is a non-profit organization that is run by students and helps to get students involved in philanthropic activities as well as helps to build student leaders. Madison House offers activities at 110+. Some of the activities they offer are Pet Pals, Athletics, Adopt-A-Grandparent, or even English Speakers of Other Languages (ESOL). It’s pretty easy to get involved with most of the groups because you just submit either an online application or a paper application in the office and then they let you know when you’ll be able to volunteer with the program. Madison House also provides students to gain leadership experience. Maybe after a year or two of experience with one of Madison House’s programs you can apply to be a Program Director (PD) or a Head Program Director. A Program Director is a student leader who coordinates volunteers, communicates with the Community Partners, and works with other Program Directors. The Head Program Director on the other hand oversees anywhere from 5-20 Program Directors. And although you probably don’t know much about these now (because I hadn’t even heard of Madison House when I got to UVA…) it’s important to know that there are countless ways to get involved at UVA and in volunteering activities on and off Grounds. I would say Madison House is definitely a program to get involved with around Grounds. Whether you are looking to volunteer, gain experience, or want to be a leader it provides you with countless opportunities to accomplish any of those goals. I actually recently signed up to coach soccer to children ranging in ages from 4 to 6. I am so excited for that program to start in March and will hopefully even get to coach with one of my friends! So keep an eye out for Madison House and definitely check out UVA Activity Fairs for more programs and details! Also if you have any questions about UVA or want to know more about Madison House, feel free to shoot me an email at ler7pb@virginia.edu !